In the original 1980 version of the “Wampa” scene, Luke appears to be attacked by what I can only describe as my Mom’s Alpaca rug. Inspired by that abominable snow beast from Planet Hoth that almost made Luke Skywalker into a meal. 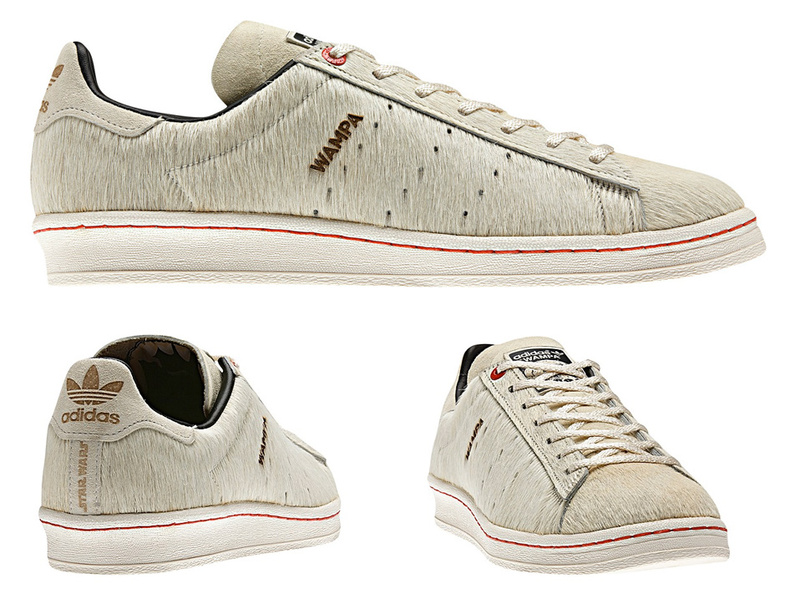 These adidas Star Wars Campus 80s shoes dress up the retro basketball shoes with a faux Wampa fur upper made from horsehair, with a Wampa tongue badge and a laser-cut Wampa logo.